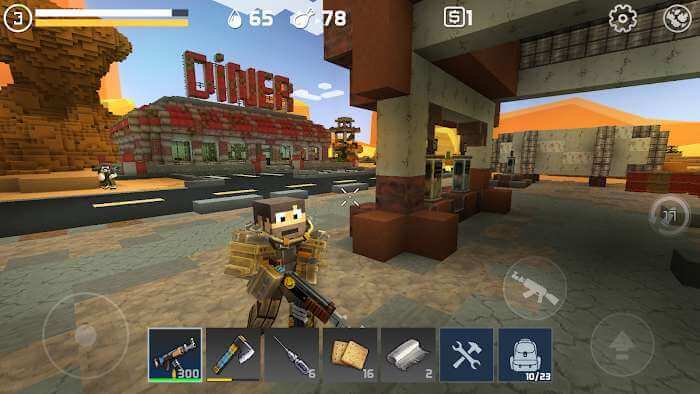 Pixel Gun 3D, although being a small game producer, has just entered the market with just over 3 years of experience, they have earned a certain number of fans thanks to the success of the first product Pixel Gun 3D: Shooting and Battle Royal (this product has achieved over 50 million downloads since its launch). Then, in 2018, they released another equally popular product, LastCraft Survival. So far, this younger brother has reached the milestone of 1 million downloads on Google Play. Both products have brought great success to this game maker. 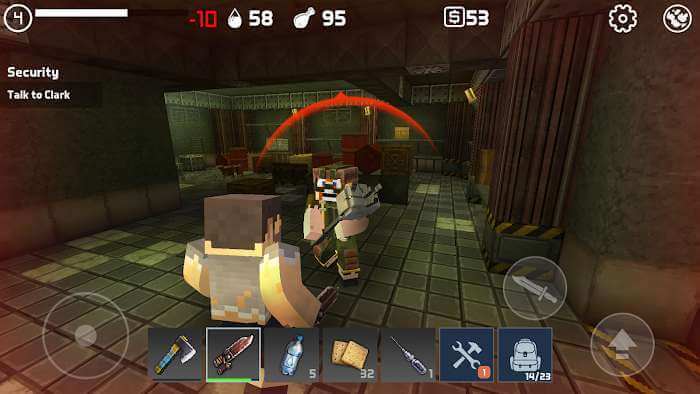 LastCraft Survival is a game that takes advantage of the success of previous products to provide the experience that all players want. If you’ve ever played Minecraft, it’s easy to understand its survival mechanism. In this new product, everything is almost identical. The only difference is that this world will be fixed in a situation where Zombie becomes much more dangerous, not as sparse and weak as Minecraft. It must be stated that this product is like an upgraded version of Minecraft that, is closer to consumer tastes at this time. 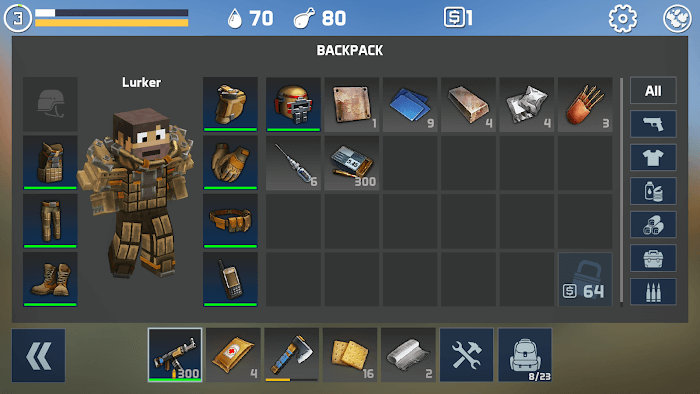 The natural survival factor is reduced instead of the impacted zombie element that significantly increases the stress of the game. The most fascinating that this product offers is the MMORPG play style. The big and gaming world there is like a lot of products still attracting millions of players worldwide. 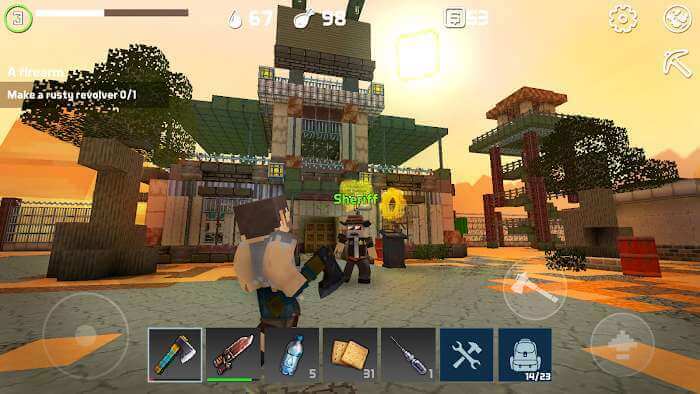 You will be immersed in a giant map with a 3D format designed in pixel style. In this dangerous place, there are always more than 50 types of monsters available. You will randomly meet them, and of course, these creatures will rush to attack and seek to kill you. If there is no weapon to fight back, immediately run away. Besides, there will also be attractive modes to promote antagonism such as PvP that is always ready for you to participate in the battle. Because this is a place where many players live together, you can easily find an opponent to try. A game always has opponents and also allies. If your enemy is too strong and can’t resist, call for help. You want to defeat those who dare to get in the way and cause trouble, try to upgrade and craft as many pieces of equipment as possible. They will be helpful in various ways.